In news that should give fans of both Twin Peaks and The Thin White Duke a bad case of the wistful melancholies, that long and rock-star-filled cast list for the new season (or seasons) of Twin Peaks was supposed to have David Bowie’s name on it as well. Bowie’s would-be co-star Harry Goaz, a.k.a. Deputy Andy Brennan, revealed as much in an interview with The Dallas Morning News in which he said that Bowie was scheduled to return for a cameo on the new series, but wasn’t able to make it to the set—possibly because of poor health, Goaz doesn’t say—before his death in January. 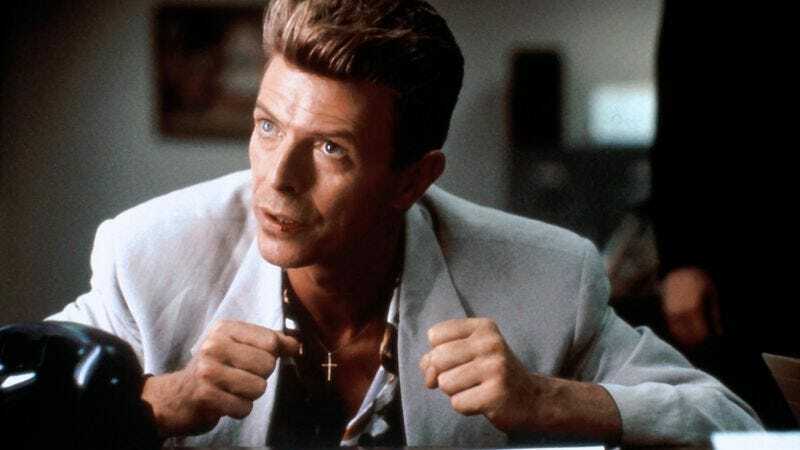 Bowie would have reprised his character of Agent Phillip Jeffries, an FBI agent who disappears after being assigned to one of the “Blue Rose” cases. Jeffries memorably appears in Fire Walk With Me, where he suddenly and spookily appears at the FBI’s offices and cryptically regales Special Agent Dale Cooper (Kyle MacLachlan) and Regional Bureau Chief David Cole (David Lynch) with tales of his time in what turns out to be the Black Lodge. What role he would have played in the new mystery, alas, will remain unknown.